Non-medical home care is a great boon to many seniors and their families, giving them more independence, dignity and comfort in their own home in spite of the various challenges of aging and chronic illness. At Home Personal Care provides non-medical home care services that help seniors stay at home and live the lives they love to live longer. Although your loved one may be having difficulty performing tasks they once did with ease, our team can help them accomplish those daily tasks safely, more easily and without getting worn out. This helps them stay home much longer, and gives your family peace of mind. Traditional home care consists of more nursing and therapeutic services such as post-operative care, IV-therapies, medication injections, pain management, dressing wounds, speech therapy and occupational therapy. These are services that are usually prescribed by your loved one’s primary care physician. These non-medical home care services enrich the lives of seniors, giving them the assistance they need without them having to go into an assisted living facility or nursing home. We can help them stay safe and avoid emergency room visits this way too. Most of all, our non-medical services can be a tremendous mood booster for many seniors and their families because they feel more comfortable and independent in their own homes; they know where things are, they have someone to talk with, and family and friends can come to visit freely. Who Might Benefit from Non-Medical Home Care? 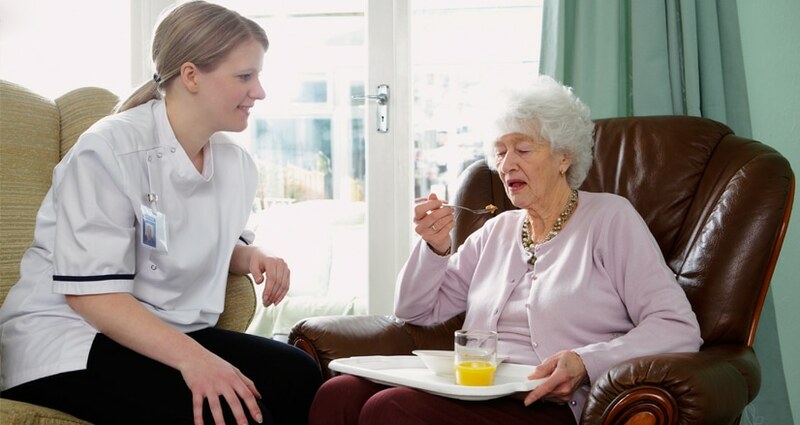 Many seniors can benefit from non-medical home care services. If your loved one struggles with bathing and dressing in the morning, or is having trouble cooking his own meals, At Home Personal Care can help. If your loved one’s eyesight makes it dangerous to drive to appointments or go shopping, we can help there also. We can also be there to make sure she is able to take her necessary prescriptions on time and doesn’t forget a dose, or that the foods in the fridge and the cupboards haven’t expired. These services help your loved one stay independent, with dignity, in their own home, for much longer. We can provide you a trusted non-medical Home Health Aide or Certified Nurses Aide who can even stay the night if necessary. It all depends on your loved one’s individual needs. Please contact At Home Personal Care today (703-330-2323) to discuss what services your family member would find beneficial. Our goal is to provide you with exactly the personalized, tailored services he or she needs to enjoy life at home for as long as possible.